One night in provincial France, a man meets a woman after missing his train back to Paris. Instantly and intensely drawn to one another, they wander through the streets until morning in rare, almost choreographed, harmony. A thwarted plan for a second meeting sends each in a separate direction. 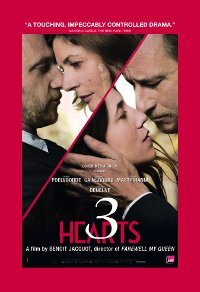 She reunites with her ex and leaves France; while he falls in love and marries. What neither knows is that his new bride is her sister. When she return to France, the spark between the two of them is reignited in ways that will forever alter the relationships between sister to sister and husband to wife. In French language with English subtitles. My husband doesn't suspect a thing!